Wilson “Papa” Godett was born on Curacao on August 11th 1932 and died there on April 19th, 1995. His father was William “Willie Doc” Alexander Roosberg and his mother was Elaine Godett, both from the island of Sint Eustatius. Papa had a brother Carlton Roosberg whose mother was Hyacinth Schmidt very fair as the old timers would say and her father was one of the white Browns. She was a first cousin of Walter Slicer from Saba. My brother Freddie went to school with Carlton who later held a high position in the customs on Curacao. He would always ask me about Freddie when I would be passing through and he was on duty. I am mentioning all of this to show readers how interconnected the islands were. As a young man Papa was not only a boxer of note but he worked as a labourer in the extensive harbour operations on Curacao. He later became chairman of the General Harbour Union there. 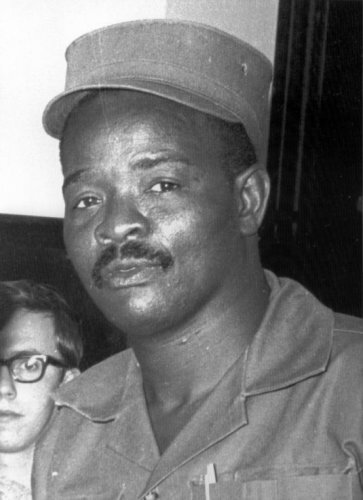 He was also co-founder of the political party “Frente Obrero y Liberacion 30 di mei.’ He had played a leading role in the rebellion on Curacao on May 30th 1969. He was shot and hospitalized during the riots, then jailed and in jail he was elected as Senator. His party gained three seats in that election. From jail he and the two other Senators elect, also in jail, Amador Nita and Stanley Brown were taken to the Governor’s palace to take their oath of office as Senators. In some countries if you run a traffic light you are taken off the voters list. Two traffic lights and you can forget about ever voting again. Here by us obviously things are different. His party joined the coalition and Amador Nita was Minister of Social Affairs and Labour on behalf of his party. Amador went up to Holland and his followers claimed that he was either poisoned by the Dutch Government either at a formal dinner in Holland or on the KLM plane back down on instructions from the Dutch Government. Either way, he was a dead man on arrival back on Curacao and, yes, another riot was about to take place. As a compromise a Cuban doctor was brought in compliments of the communist party to do the autopsy with results unsatisfactory to his followers. The doctor claimed that he had died of natural causes. Those were turbulent times. I myself decided to oppose Senator Claude Wathey for the seat of the Windward Islands in 1969 after the riots which caused the fall of the Federal Government. The elections were held on September 5th, 1969. I did not know anyone from Frente except Stanley Brown and I did not want to join the traditional Curacao parties. So I asked my friend Edsel A.V. “Papie” Jesurun if I could use the name of his newly established party the U.R.A. which my friend then Commissioner Vincent Lopes immediately baptized as the United Russian Alliance. I have most of the pamphlets from that election. The Democrat Party, as a strategy, immediately labled me as being a communist, and associated with Papa Godett and his Frente Party. 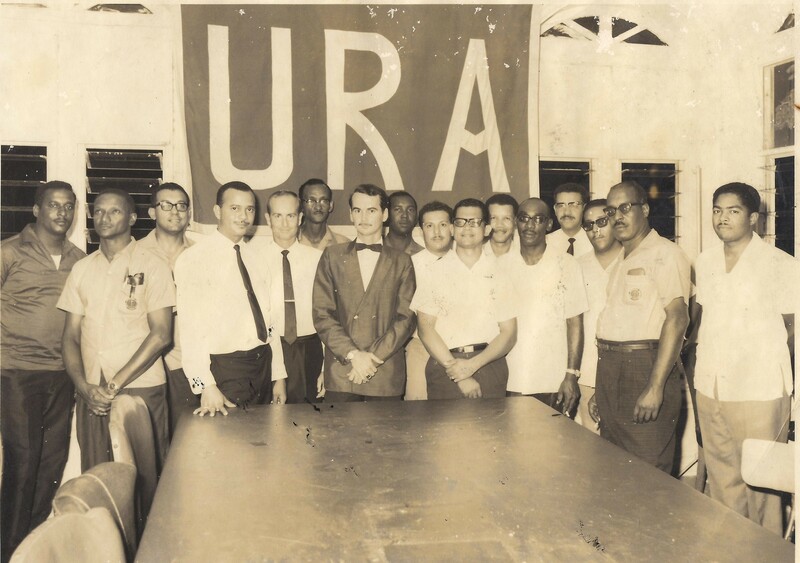 In that election Papa’s father “Willie Doc” who himself had his own rebellion on Statia in 1949, campaigned for me on my podium on Statia so there you go. I can remember Carl Anslyn, then on the Democrat Party list, putting out one pamphlet after the other against me warning the people of Saba to “prepare for the worst. This young man is out to burn down the houses you worked so hard for. Get your fire buckets ready as he is coming to the island soon.” As my bad luck would have it at the time Stanley Brown came to Saba stayed at Scout’s Place and he and his following were screaming out in the night to “Burn, baby burn” and were telling people they had come to support my candidacy against Claude. I did not get to know Papa until after the 1971 elections when my party WIPM had 8 of the 15 seats on the Windward Islands Council. I was kept out of the Council and out of the Government. There was a battery of lawyer friends of the Democrat Party digging up old laws to keep me out of government. And they found one. The Lt. Governor at the time had been married to my sister. Even though she was dead and he was married to someone else they claimed that we still had consanguinity and could not serve at the same time, and since he was there first he could remain and I was shut out. I had to manage my party from outside of government. The only one who pleaded my cause was Papa Godett. His favorite word was “abuso” or abuse, and he insisted that a bill had to be introduced to parliament to change whatever law had been drummed up to keep me out of government. Eventually the law did come to parliament but the majority decided that it could only come into force after another election. Papa put up one helluva defense on my behalf. I did not even know him at the time. Someone else on Curacao had brought my case to his attention. But that was the way Papa was. Where he saw or heard of anything that seemed close to ‘abuso’ Papa would be immediately on the case. He also liked to help the poor and many people took advantage of this. I remember that we had to close off the open telephone in Parliament because scores of women from the Dominican Republic were coming downstairs to his office to make telephone calls back to their country once they found out that Papa had no objections. In the Juancho Evertsz cabinet Papa was Minister of Social Affairs, Labour, Culture and Recreation. By that time I had won my second Island council election as required by law to enable me to take office. That one was not easy as the Democrat Party were telling my voters that I was fooling them, that he law had not been changed and their vote would be lost. In 1973 I had again run for Senator as the number 2 candidate on the WIPM list and I did well on all three islands. I have never participated in an election where I got a 0 in any voting district. I pulled votes in each and every polling station on all three islands but our party lost the election of 1973. In 1976 I was Commissioner and went with a Federal Government delegation headed by Minister Godett to CARIFESTA in Jamaica. We were staying at the Pegasus hotel in Kingston. Commissioner Vincent Lopes was also on the delegation and my constant companion during the two weeks and more that we stayed there. I had planned to make a side trip to Cuba. I got an appointment with the ambassador. In the lobby of the hotel I greeted Papa and Moenchin Soliana from Bonaire. After I told them where I was going they asked to join me. We all took a taxi and to the consternation of Papa’s body guards from Jamaica took off without informing them where we were going. At that time there was a small war going on in Jamaica. For the two weeks I was there more than 20 people had lost their lives with the two political parties fighting one another. The Cuban ambassador treated us very well. They even offered Papa to send a Cuban band to Curacao to help him with his campaign which Papa accepted and which caused an uproar from the other parties on Curacao and cost Papa the next election because of that. Venezuela even got into the act by stating that they would not tolerate a communist bulwark in their territorial waters and hinted at an invasion. The ambassador told me to fill out the form for a visa. He was amazed that I knew my four grandparents date of births and deaths which was required in the form. This had to be cabled to England, then to Cuba and then back via England to Jamaica. The visa was approved but on advice of Papie Jesurun I used an excuse that I was having lunch with then Prime Minister Michael Manley and would delay the trip. The Cuban ambassador was at the same lunch and accepted my excuse graciously and later on I did visit Cuba. 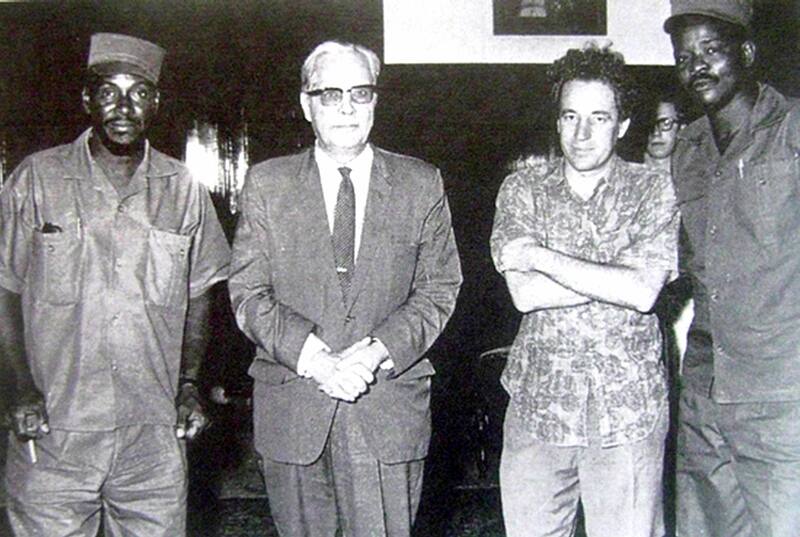 That same ambassador later became a member of the Cuban assembly and I met him on several meetings of the Latin American parliament. He would always come over give me a big hug with “My friend Johnson how are you” causing the other Aruban and Antillean delegates to wonder as to where I had acquired all these Cuban contacts from. During that trip I got to know Papa real well. I remember one day I walked into a bookstore in Kingston and Commissioner Lopes got a good laugh out of this one. I had not well entered the bookstore when a man came out from the back office and asked me:”Are you Papa Godett?” I asked him if he thought that I looked like Papa. The man had seen me in Godett’s delegation and perhaps thought that I was the Minister. Anyway turns out he had a shipment of schoolbooks to send to Curacao and wondered if the Minister would take them along, which when I informed Papa he willingly did. When I became a Member of Parliament Papa and I grew close. 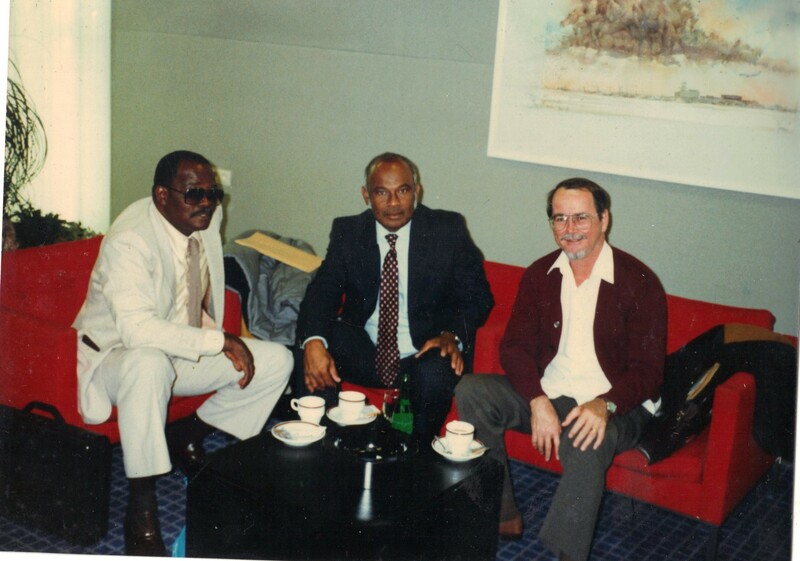 We were in the same coalition with Prime Minister Don Martina and later on with Prime Minister Maria Liberia Peters. Papa and I did quite some traveling together to Holland, Belgium, Germany and also to Argentina, Uruguay and Costa Rica some of which I recall. In Argentina we were hosted by the government at a very large ranch “Estancia Susannah” for a typical large Argentinean bar-b-que. The gauchos were giving a demonstration of their talents on horseback. Man and animal became one, the gauchos were that good. There was also an opportunity for visitors to ride. I decided to go for a ride. Papa was standing next to me. He asked me:”Will you ever ride a horse before?” And before I could answer “not really” the horse took off full speed, I dropped the reins and held on to the saddle horn for dear life. However two gauchos came to the rescue and were able to bring me back to where Papa was standing and we had a good laugh over the incident. Another time on a trip to Uruguay, Papa and Moenichin Soliana (yes the same one) went to a fancy restaurant for lunch. My wife Lynne was with us on that trip. When she went to the ladies room, the lady cleaner pointed to me and asked her if that was her husband. Lynne answered yes and the cleaner advised her to tell me not to eat there as I looked like a communist and the owner hated communists and would probably try to poison me. Well the meal was already halfway done so I decided that the woman probably hated the owner and was trying to ruin his business. However for the next few days whatever little pain I had it put me to wonder and I admit a bit fearful as well. In later years when we traveled people from our delegation would notice that Papa was getting more and more confused with small tasks. It eventually got so bad that he had to stay home. Some people thought it could have been caused from the days when he was a boxer. Others thought from the time he had been shot and the various traumatic experiences he had gone through. Papa did not forget me however. One day I was walking in the Punda and I heard someone shouting out my name. It turned out to be Papa being driven around by his daughter the later Prime Minister (August 11th 2003 to June 3rd 2004) Mirna Louisa Godett. He jumped out of the car ran in my direction and gave me a big embrace at the same time enquiring after my health. I was shocked when shortly after that I received a call telling me that Papa had passed away. Papa’s son Anthony also served as Senator, Commissioner and Island council member for Curacao. Papa’s party the Frente brought about many improvements for the working class including the minimum wage, the right to organize in unions, improvement in the old age pension. For these and many more Papa will be remembered as one of the key players in Antillean politics. May he rest in peace and be remembered gratefully by all whose lives he improved.